WhatsApp is currently serving as a personal as well as an official mean of communication which makes it a most important app in one’s phone. People love to enjoy using it and sending text messages, voice notes, photos, documents, and location, etc. They manage their routine tasks of interaction with it pleasantly. WhatsApp chat history possesses ultimate importance and can cause grief in case it gets deleted accidentally by any technical or manual suddenness. If you are anxious about losing messages of WhatsApp like many others, you should be happy to know that by using the following useful methods, you can have them back. 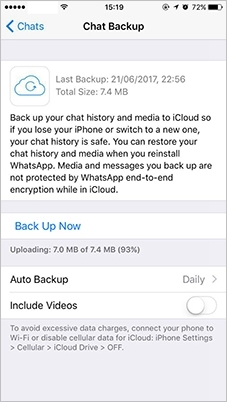 Fortunately, WhatsApp provides automatic daily backup for iPhone users which call WhatsApp iCloud Backup feature, you can select to back up WhatsApp messages and attachments to your iCloud. In this way, your all data will be backed up to iCloud at midnight every day (at about 4 Am) automatically. That is why you can restore your chat history to the backup of last night if you accidentally deleted your chat history in the daytime. Step 1. If you want to restore your WhatsApp chat history, first of all, check if you enabled the Auto Backup option after going to WhatsApp -> Settings -> Chats -> Chat Backup. If it is enabled, also check the last backup to make sure that, the backup includes those specific files or messages which you intend to restore. Step 2. Once you are sure that backup includes the particular date, then delete and reinstall the WhatsApp. Activate it, and then it will ask you that either you want to restore data. Choose this option and have all your lost files. It will not require the whole phone to be reformatted. It provides simplicity of the process. You can have your lost data in just several clicks. For this option, you do not have a cable and a computer. You can use this option if only you have kept the Auto Backup option ON. The lost data should be related to the last backup date. You cannot selectively restore messages or files. Deleting your WhatsApp for downloading the previous backup file can lead you to lose more recent WhatsApp messages. If you do not have any backup, do not be disappointed. ‘iPhone Data Recovery‘ can help you to restore all your wanted WhatsApp data in about 5 to 10 minutes. 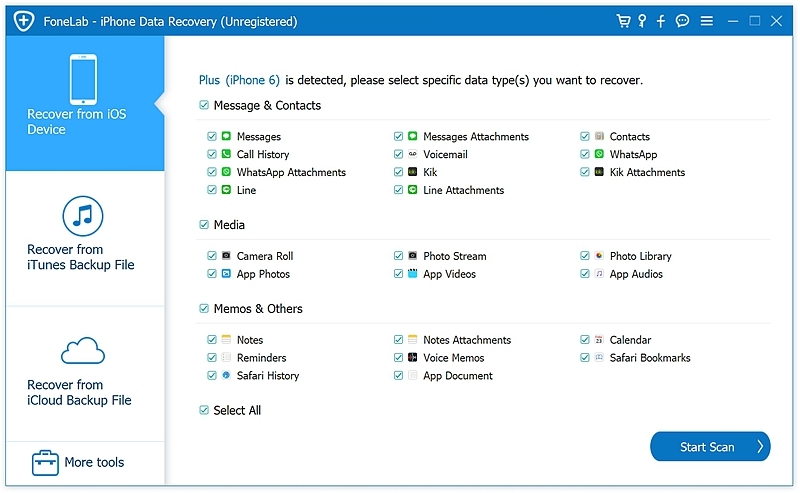 ‘iPhone Data Recovery’ toolkit – A software with which you can see and choose all your deleted WhatsApp messages and after that save them to your PC. 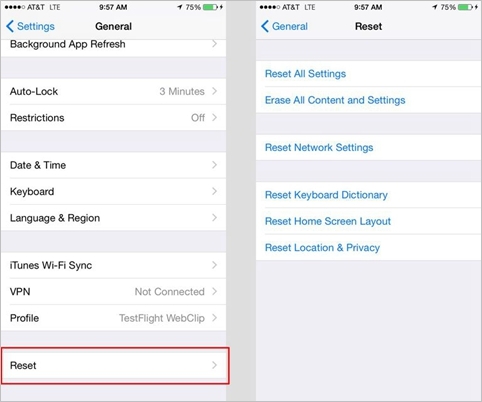 With this technique, you don’t have to stress over reinstalling your whole iPhone, and you don’t have to restore all useless data. 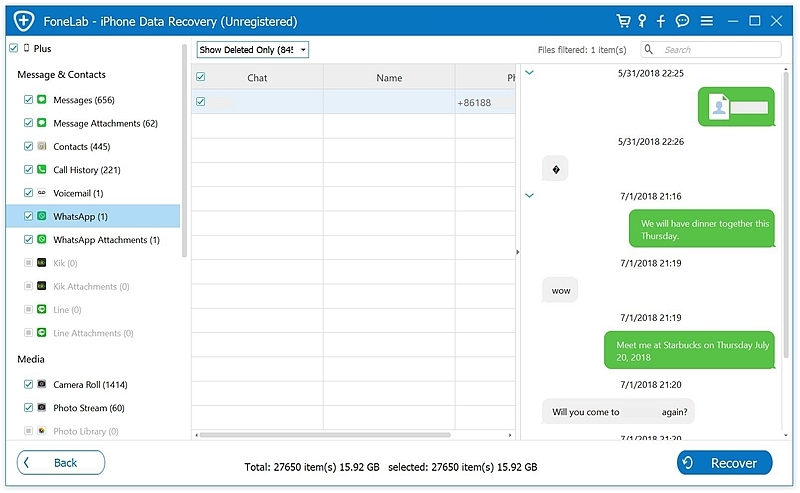 This tool can even enable you to restore erased text messages, contacts, photos and videos. Then again, there are additionally explicit ways in ‘iPhone Data Recovery’ that can help you to restore Viber messages, Kik messages, and so on. Step 1. Open the software. Select the Recovery Type. 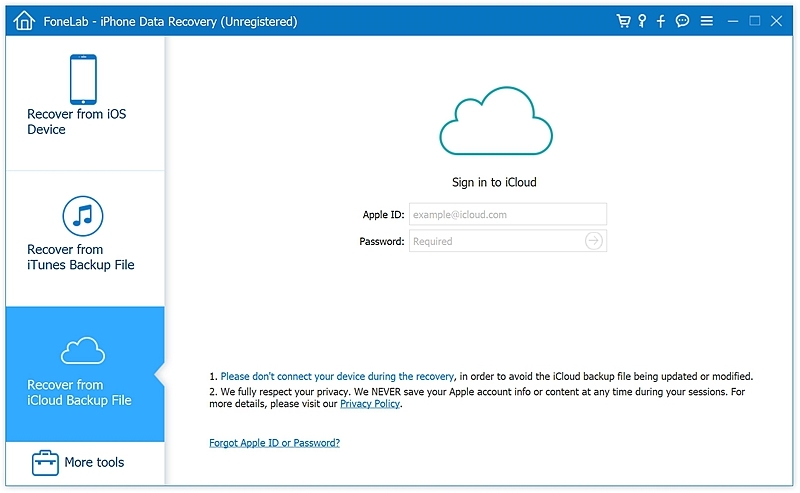 In the left-hand panel, you can see the options to recover data from iCloud or iTunes backups, or to ‘Recover from iOS Device.’ Choose the latter. Step 2. Connect your iOS device to your computer. 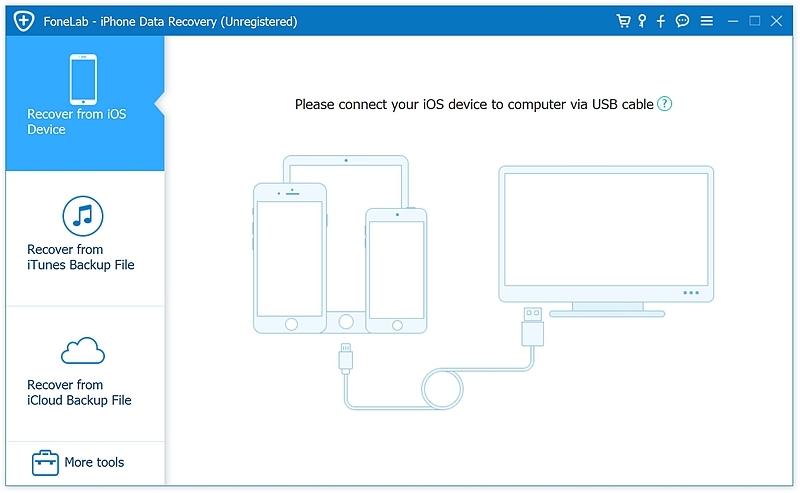 In case if you have updated backup in iCloud or iTunes and without reformatting your phone or WhatsApp, you want to get it, ‘iPhone Data Recovery’ will help you. This software will extract data from iCloud, iTunes backup file and restore WhatsApp messages selectively while not deleting or losing recent data. Step 1. Select the recovery type from the left side panel. 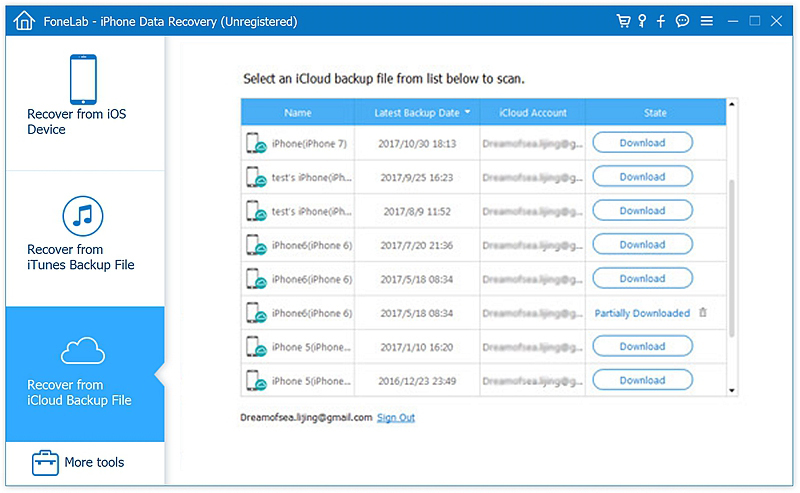 Tap on the option “Recover from iCloud backup files.” Now access your iCloud using your iCloud ID and Password. You can choose the same procedure to get backup files from iTunes. 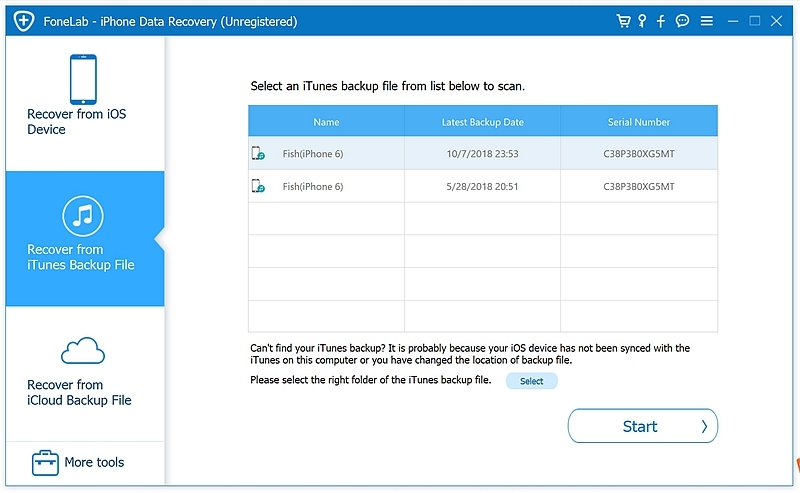 Just select the recovery type of “Recover from iTunes Backup File’ as a first step. After this, you have to do all the same as mentioned above for iCloud. You do not have to delete or lose recent WhatsApp messages to get the previous ones. This method does not consume much time. It enables to restore selective files, and you do not have to restore all unnecessary files as well. 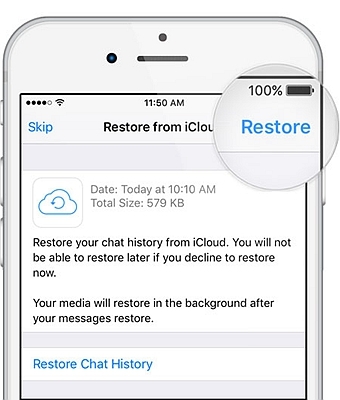 The most commonly used technique by which you can restore anything on the iPhone is through an iCloud backup. 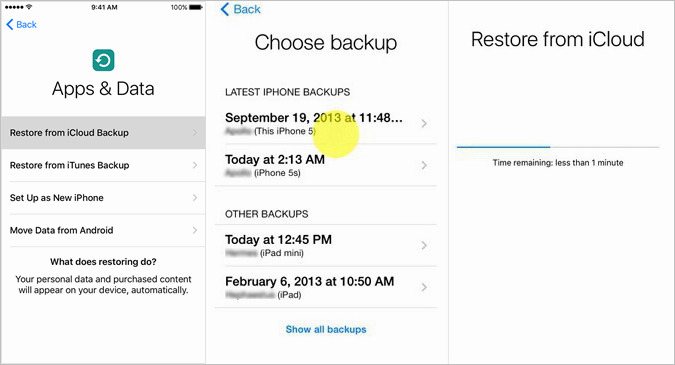 If you have the setting enabled to consistently backup to iCloud, your iPhone would always continue refreshing the iCloud backup. Then again, you can back up to iCloud manually also. This method can restore your deleted WhatsApp messages. Step 1. Erase all content while going to Settings > General > Reset. Select ‘Erase all content and settings.’ You will be asked to give your Apple ID and Password, and this whole process may take a while. Step 3. You will be asked to sign in to your iCloud utilizing ID and Password. After that, you’ll discover a list of all backed up files. Pick the one you might want to restore. An advancement bar will appear, showing that your backup is being downloaded. This procedure may take quite a while, depending upon your internet quality and the size of the backup document. Step 4. After being downloaded, you can now access to WhatsApp and wait for all your previous messages to come back! This method is the last but obvious option which you can to restore your lost files as generally all users keep this option enabled to backup data on a daily basis. You won’t be able to view your backups before downloading them to make sure whether your wanted file in included or not. You will not be able to separate just your WhatsApp messages to restore instead you have to download the whole backup file. The entire backup file will replace your current iPhone which means, in restoring deleted WhatsApp messages, you may lose current files. To conclude, watch among all these useful methods of restoring deleted WhatsApp messages mindfully, and choose accordingly which method suits you best.